Ya sure. It's not a HUGE surprise, but it is a HUGE HUGE loss. Amy Winehouse had musical talent oozing out of her pores. Such a tragedy that once again, substance abuse takes another talented life. 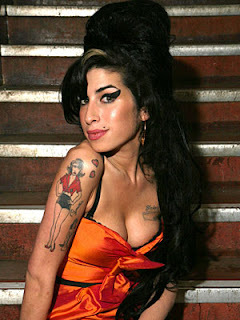 So sad that when saving the photo above and labeling it "Amy Winehouse RIP", it feels like I'd already done it before. Kind of eery. Häagen-Dazs - Bees 2min from David Wittman on Vimeo.